At Third Ave. Playhouse, 239 N. Third. In middle age, Spalding Gray (played by Doug Mancheski) has entered “the Bermuda Triangle of Health,” that place where the body begins to break down in alarming and humiliating ways. And so Gray embarks on a crazed crusade for wellness that takes him from a Native American sweat lodge to the Far East. 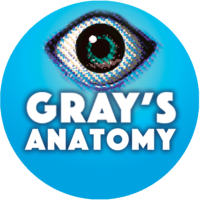 Visit http://thirdavenueplayhouse.com/grays-anatomy/ for info or call 920-743-1760.